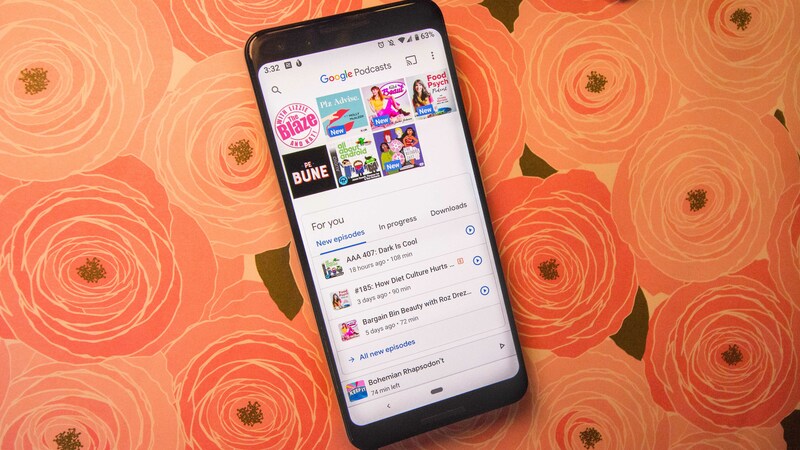 If you search for podcast apps in the Google Play Store, you’ll come up against a seemingly endless stream of choices. From feature-packed community favorites like Pocketcasts and CastBox to all-inclusive apps like Spotify and Google Play Music, there are already so many ways to playback podcasts, which is why it was a little perplexing when Google launched Podcasts last summer. There are theories as to why Google Podcasts exists. One possibility is that, like every product we’ve seen out of Google’s camp, it’s another ploy to help propagate the Assistant. There’s also the notion that it’s not an app for podcast enthusiasts, and that its killer feature is not quite ready. One thing’s for sure: if Google Podcasts is ever going to get a spot on my home screen, it needs to compete with my established favorites. And the only way it can do that in the saturated Play Store is by offering an edge. Besides playback controls, Google Podcasts' features are pretty limited. There’s nothing inherently wrong with the Google Podcasts app, though there’s not much to write home about either. The app is modern and straightforward, and you can find all the podcasts you love by just typing the title into the search bar and hitting subscribe. But then, there are interface quirks, ones that make that app feel rushed in its current state—or at least, like an empty shell that’s waiting for what’s to come. There’s also not much to Google Podcasts. It’s an app that fetches you your favorite podcasts and then spits out too many recommendations. There’s very little in the way of customization for the app, and playback features are severely limited. There isn’t even a dark theme, or auto download features, or the fundamental abilities of other beloved podcast apps: OPML importing and SD card storage. At the time of writing this, all Google Podcasts can do is automatically remove both completed and unfinished episodes. The Google Podcasts' recommendation engine is too limited for my tastes. As with many of Google’s products, they are constant works in progress (until they’re no longer working on it). It’s safe to assume that the clincher for what is going to make Google Podcasts a worthy competitor to all the others that precede it is likely related to what the company knows so well, which is search indexing. Google has even said its mission is to “double the amount” of podcast listening in the world. The ability to search through them - not merely by titles and tags, but by content itself - would help immensely. Imagine indexed podcasts. It excites me as a podcast host. It means all the interesting discussions we’re spending time recording and publishing to the internet will finally be searchable, and we’ll no longer have to rely on generalized descriptions to reel in new listeners. The hardest part of getting into a podcast is knowing whether the content will resonate in the long haul. The ability to search would enable us to essentially “screen” a show before devoting listening time. Listening time is very precious! That’s the other thing: Because it’s so hard to attract new people outside of the iTunes store, Google has a real opportunity to make its Podcasts app the one that hosts mention at the end of a show. “Don’t forget to rate us on iTunes and Google Podcasts,” they’d say. I don’t use iTunes because I don’t have Apple products, and as much as I love the podcasts I listen to, I don’t tend to prioritize leaving a review for users with whom I don’t even share a platform. The Android platform needs its own synergized feed of podcast reviews, something that could be integrated into other podcast apps. And what better way to do that than by having the internet's primary indexer make it so? 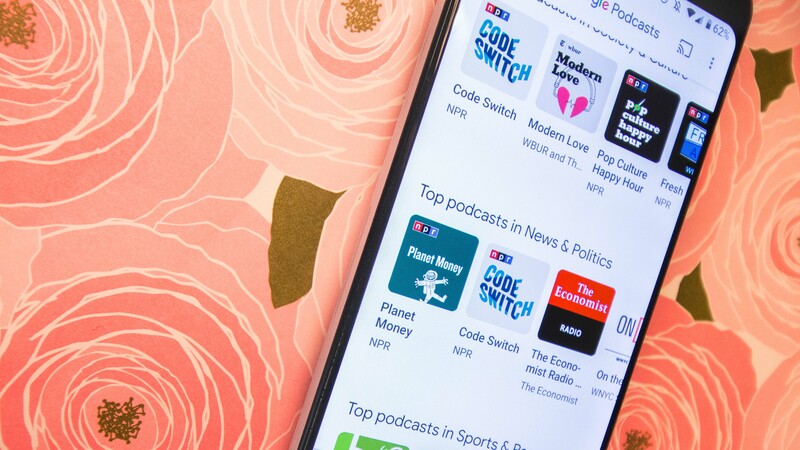 Google Podcasts has been available as a standalone app for a little more than half a year, but it still has a journey ahead of it before it’s able to replace the podcast playback apps Android users have long adopted. When I asked Twitter the other day what they wanted to change about Google Podcasts, a majority of the answers veered towards, “Be like my favorite app.” It’s going to be a challenge for Google to get millions of users migrated to a new app with which they have no history. 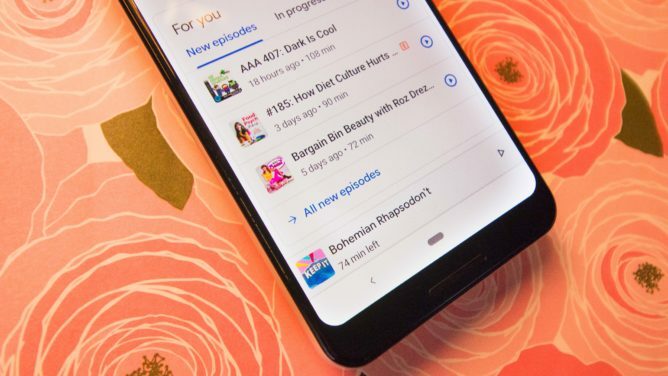 However, if there’s one major feature that Google could use to get us to at least use the Podcasts app in conjunction with our favorites, it would be to hone in on those search abilities. That’s what Google’s known for, and where it could resonate the most with every user. It could also seriously help elevate the art of podcasting to more than just a monetizable side-gig.